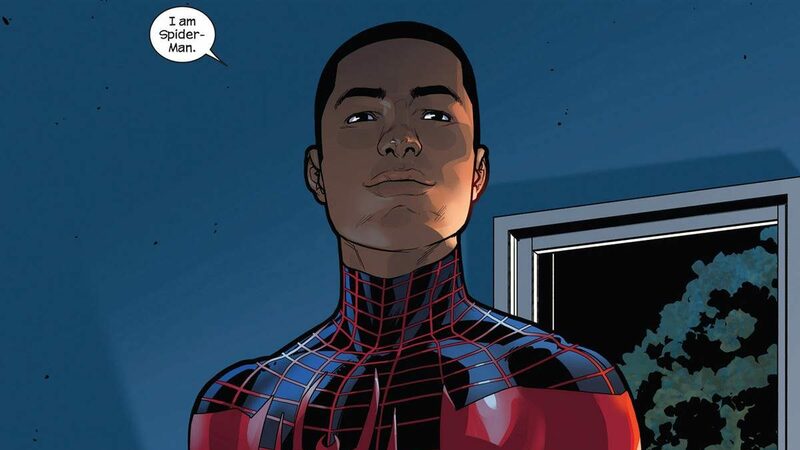 Gabriel later issued a followup statement about how Marvel does value its recent successful non-White male characters like Ms. Marvel, Squirrel Girl, and Miles Morales. Still, it was too late; everyone’s responded with much criticism or analysis, up to the New York Times and NPR. I’ve written before about why diversity matters, so some of this might be repeating myself. But overall, diversity in comics can and should be there because modern American society (despite some who wish otherwise) is diverse, and will only become more diverse in the years to come. Marvel’s been running massive events non-stop; io9 says there’s been a dozen events and crossover storylines over the past two years alone. (A check of Wikipedia suggests they’re right.) Quite overwhelming, even for the biggest fans of these characters. Marvel (and DC as well) seem to treat with lower regard sales of anything that doesn’t involve trudging down to a physical comic book shop once a week and paying $4 for a 22-page issue. Did you read “Patsy Walker” or “Moon Girl” via Comixology, trade paperbacks, Scholastic book fairs, Marvel Unlimited, etc.? Too bad—you didn’t support the comic the “right” way, apparently. Related to the above is the idea of pre-ordering comics, which is something newer readers don’t do. DC still trails Marvel in sales, but their sales have seen a boost in recent months thanks to Rebirth, which eliminated or dialed back most of the worst elements of the New 52. While DC’s still heavily reliant on Batman (and anyone with ties to the Dark Knight), it seems to be working in their favor. DC’s top selling comic last year was “Harley Quinn” #1. Since the election (and a subsequent rise in hate crimes, racial harassment, etc. ), plenty of people want to see a more optimistic take on their favorite superheroes, or at least see said heroes fighting fascism, racism, etc. Seeing Marvel’s most idealistic hero being sold in yet another event as an ersatz-Nazi doesn’t help there. 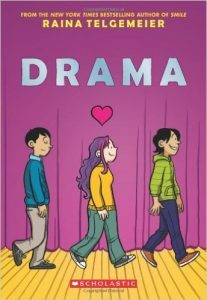 “Drama.” Art by Raina Telgemeier. 2016 saw a continued increase in the independent comic boom. The top selling trade paperbacks and graphic novels at bookstores, on Amazon, etc. aren’t superheroes or Big Two titles. Instead, they’re books like Raina Telgemeier’s various graphic novels. Said books also feature diverse casts and creators. Webcomics are also a big growth area for comics. They also have the advantage of fewer or no gatekeepers, versus traditional publishers or newspapers. A lot of the above also applies to DC as well. But ultimately, the idea that non-heterosexual White male characters are a “sales risk” is obviously false. The minority griping about increased diversity in comics (or blaming such for its problems) should frankly be ignored by the comics industry going forward. Next Post:The best live streaming video services for cartoons?